Ahead of CES 2017, Synaptics today announced a new multi-factor biometric engine for use in smartphones, tablets, and notebook PCs. The new platform, made in partnership with facial recognition company KeyLemon, incorporates both fingerprint and facial recognition, allowing a mobile device to be unlocked in multiple ways depending on what's most convenient for the user. The system also provides additional security for financial transactions and the unlocking of other sensitive information, as two modes of authentication can be required. The Synaptics multi-factor fusion engine combines authentication scores from multiple biometrics to determine verification. This increases overall system security as both fingerprint and facial factors have to meet minimum threshold requirements before authentication. In addition, the fusion engine improves usability as lower individual verification thresholds still result in greater security. The multi-factor fusion engine features anti-spoof technology, using AI to distinguish between fake and actual fingers. The facial recognition feature in the platform also checks for eye blinking and head movement to prevent spoofing. While Synaptics is focusing on finger and facial recognition at the moment, Synaptics VP of marketing Anthony Gioeli says future iterations will include "additional biometric and security factors." 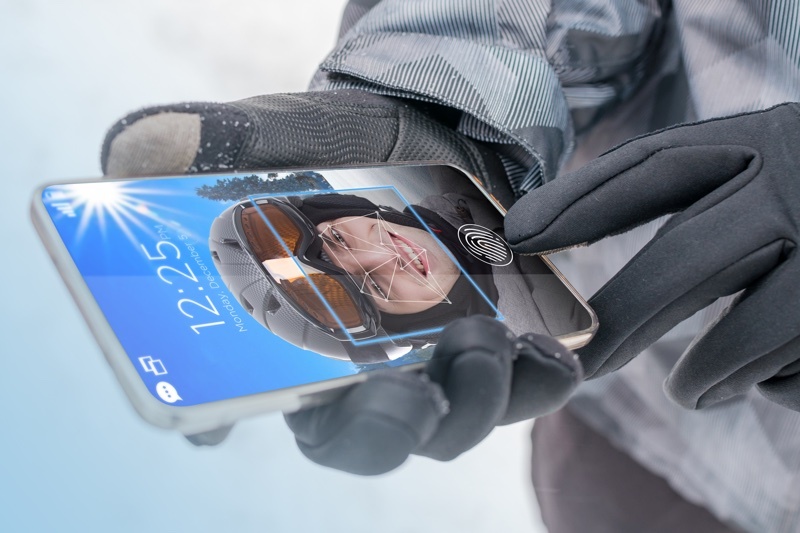 Synaptics also recently introduced fingerprint sensors capable of scanning a fingerprint through glass, allowing for button-free display designs able to take advantage of fingerprint recognition functionality. Apple is working on a similar technology for the iPhone 8, but while Synaptics is an Apple supplier, Apple likely has its own proprietary solution in the works. These marketing pictures are so crazy sometimes! Holding the phone at this angle, even if her face showed up on the screen, there should be a sky behind her head, not the horizon. It feels weird. And with the finger in that position, it's almost implied she is going to scan her fingerprint... with gloves! Mindblowing! It's because if they used a real pic from that angle it would look more like this. Only three days into the year and I already got the year's award? Haha... exactly. Looks like the marketing department skipped their meeting with the engineering department. My face is too ugly for recognition. The phone would keep crashing. No problem. Just do what I would do. I hope it works better than Siri or else you will see people making different faces trying to get into their devices :). I… what? Why? What problem is fixed by removing the Home button? You remove a hole in the case of the phone, allowing for better waterproofing.